When I was 15 years old, I worked over the summer in a British-style Fish & Chips “Shop”. This particular “shop” (a restaurant that specializes in take-out) was well-known in the area for having the best batter, the best fries, and the best coleslaw. There were only two employees, me and “the chef”. The “chef’s” only responsibility was to slice the fish. 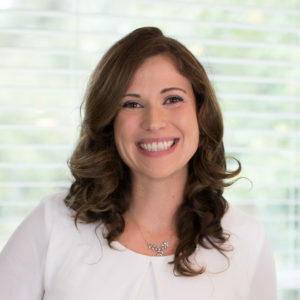 I got paid one third of his salary to do everything else, from peeling and slicing potatoes, to deep frying, to cashier, to managing phone orders, to packaging up orders for pick-up, to waiting on the four seldom-used tables, to washing the dishes and mopping the floors. Let’s just say this job was a good incentive to do well in school. The benefit of this summer was enough cash to buy myself a winter coat and a bed (did I mention I grew up really poor?) and, because I was the one making the coleslaw, I learned the secret recipe! A little modification to make it Paleo and I can now share it with you! This dressing tastes better and better the longer it sits, so you can make it well in advance. Serves 6-8 (great size for a potluck or barbecue). set to 1/16” thick). Toss with salt and let sit in a colander in your sink for at least 1 hour (and up to 3 hours; salt a little longer if your cabbage is not sliced as thinly). (alternately you can julienne them very finely and salt with the cabbage) and combine with cabbage in a large bowl. Chop dill very finely (the ¼ cup measurement is after chopping). 4. 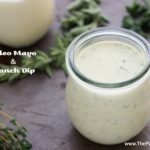 Mix Paleo mayo (see recipe here) with mustard, turmeric, paprika, vinegar, and dill. Pour over cabbage and carrots and toss until thoroughly coated. It’s best if you cover with plastic wrap and refrigerate for at least 1 hour before serving (stir before serving since dressing tends to settle to the bottom of the bowl). Enjoy! You do a great job at setting the standard for many everyday dishes. Thanks! That may just be the best compliment ever! This might be a dumb question, but is the mustard in the recipe mustard powder or jarred mustard? Actual mustard (like real mustard, not French’s). so you are saying dry mustard, not the wet stuff in bottle? The link is to a wet French mustard so maybe Dijon mustard is the most affordable substitute. When she says “not French’s”, I think she is referring to our bright yellow American mustard. I’m desperate for an AIP friendly cole slaw. Any suggestions? I tried an egg-free mayo recipe I found on the AIP Pinterest page and that was a disaster. It broke apart when I added vinegar and the flavor from the bacon fat was too overpowering. 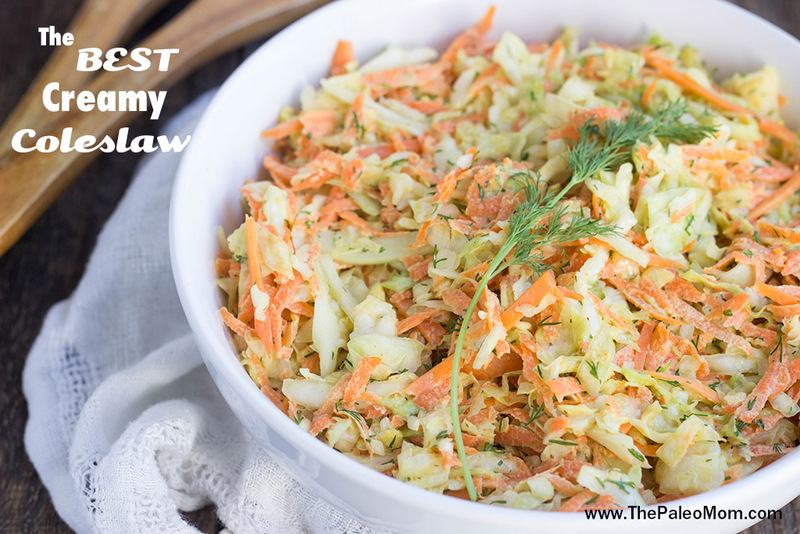 Paleo or not, this is, hands down, my favorite coleslaw recipe. The salting method gives the cabbage just the right consistency, the turmeric in the dressing gives great complexity to the flavor, and the addition of fresh dill from the garden is so refreshing. I crave this coleslaw regularly. Thank you SO MUCH for sharing such a fantastic recipe! Is turmeric considered a shade plant seed? I know the paprika is. No. It is a root. It is very nice of you to share this recipe with us. Thank you! I am definitely going to make this once I get the ingredients. What can be a subst. for the avocado oil in your mayo? You could use more olive oil or macadamia oil. I can’t eat paprika either but I use celery seed in my coleslaw instead. One of the reasons why I’ve never made my own mayo is because I really don’t use it often at all (a small bottle lasts me several months and I usually throw most of it out). It looks like I may be able to halve this recipe. How long does this mayo stay good in the fridge? 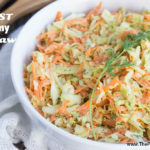 I love coleslaw and would like to try making the dressing using your recipe, since I’m avoiding soy. Thanks! It’s good for about a week. 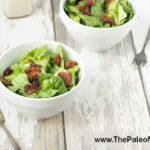 I love coleslaw, but I haven’t liked it without sugar, and I’m leaving sugar out of recipes since i went Paleo this past January. 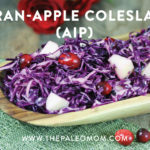 It’s been my impression that slaw needs sweetness to balance out the salt and acid, so I was wondering what makes this one good without benefit of sugar. Our standard family Christmas dinner (belated this year) is crab legs, potatoes (probably homemade sweet potato chips), and coleslaw. I’m looking for reassurance in lieu of making a test batch. Creamy-style coleslaw traditionally does not have sugar added (vinaigrette-style does). In the midwest U.S. (and I’m guessing, in the south), creamy coleslaw DOES usually have sugar. This was really good, but we used dried dill and it was SO overwhelming (and I love dill!). We’re going to try reducing it to a teaspoon or two next time instead of a quarter cup. Just a heads up for those who might not be ready for the dill! 1/4 cup of dried dill would be way too much to sub for 1/4 cup of fresh. Typically, you’d want to use about 1/3 of the amount for fresh. So, since 1/4 cup is equal to about 12 teaspoons, you’d probably be better off with somewhere from 1 tablespoon to 4 teaspoons of dried dill. I like this recipe… I admit I haven’t added the herbs/mustard etc. yet because I don’t think my husband and son would go for it… thus far I’ve just used it for ration of mayo to vinegar and cabbage… I do add paprika… I might add the rest next time with a smaller batch and see. I also noted the “1/4 cup chopped fresh dill (or use a scant 1/4 cup good quality dried Dill Weed)”…used about 1 teaspoon dried and it turned out great. Fantastic recipe! Thanks. I thought that 1/4 cup dried dill – scant or not, sounded like a HUGE amount too. Glad to hear 1 tsp worked well for you! Sidney, BC. It’s changed ownership several times in the 23 years since I worked there and it’s really not the same anymore. What kind of raw egg is OK to eat to make this mayo. ? Why do you have to salt the cabbage and let it drain? What would a good sub be for the mustard? And will flavor be too different if paprika is omitted completely? I’m still in the elimination phase of AIP! Sounds awesome. But I have to ask…what’s the point of the salt soak if you’re just going to drench it all over again to remove the salt? My grandmother always taught me that you used the salt to draw out the extra moisture (like from cukes). I wondered about the dry vs. fresh dill, too. Almost 1/4 cup of dried dill sounds like a lot. SO delicious! I’ll be repeating this coleslaw in our menu frequently. 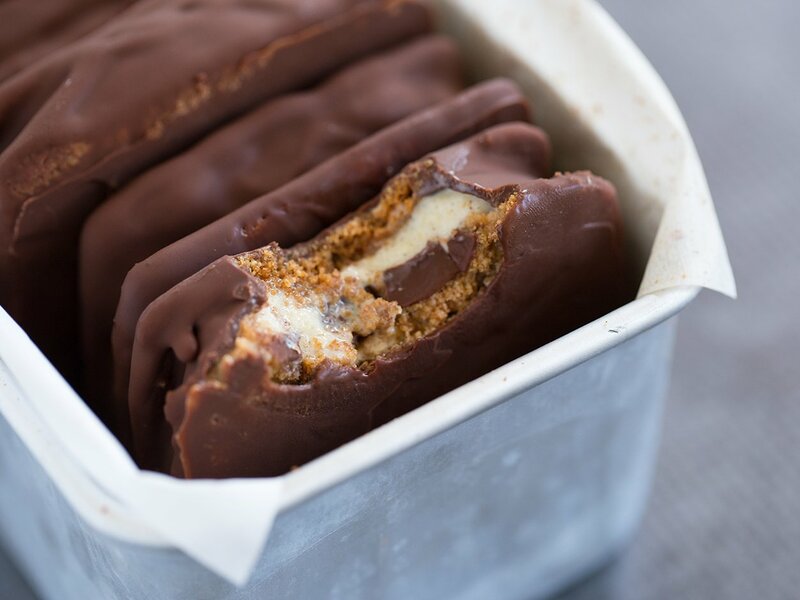 Thanks, kindly, for sharing this recipe, PaleoMom! I always forget mustard. Will try this and what poster above says re: dill 🙂 thanks for posting/sharing your knowledge! Wow, I made this last night and it’s fantastic! 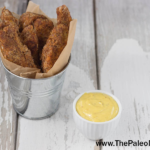 I used the Baconnaise recipe from Practical Paleo for the Paleo mayo. I can’t wait to eat what’s left for lunch today! Great recipe. 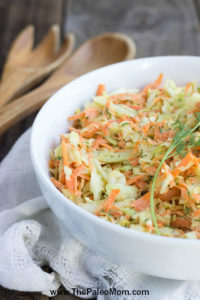 I enjoyed the added dill for a little twist on my classic cole slaw. I just found this recipe and your website. I made it last night along side baby back ribs and it was fabulous. I will definitely use this for cookouts this summer. I wasn’t sure about the mustard, turmeric, and paprika, but after tasting this, I don’t know how I ever ate coleslaw without them. I am planning to do a collection of coleslaw recipes on my blog next month, and I was wondering if I can use one of your photos in the round up and then link back to your site for the recipe. How long will this keep in the fridge? Do you think it will be ok to freeze, dressed? I used yellow mustard. Waaaaahhhhh!!! 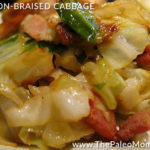 I put the 2 tablespoons of salt on the cabbage and let it sit for about an hour and a half. The cabbage soaked up so much salt, that it was inedible and I had to throw it away. I rinsed several times and even soaked it in plain water, but it was still way too salty to consider using in the recipe. I will try it again without that step. Is there a possibility it should have been listed as 2 teaspoons instead of tablespoons? You can just leave it out or replace it with another herb you do like. Maybe parsley? How important are the eggs? If they are important, is there a substitute? This was delicious!! Of course I left this until the last minute without reading the instructions first, so I had to skip the salting step. I also used dijon mustard because I seem to have misplaced the regular. I used the pre-shredded cabbage and carrots from Trader Joes and Chosen Foods avocado oil mayo. 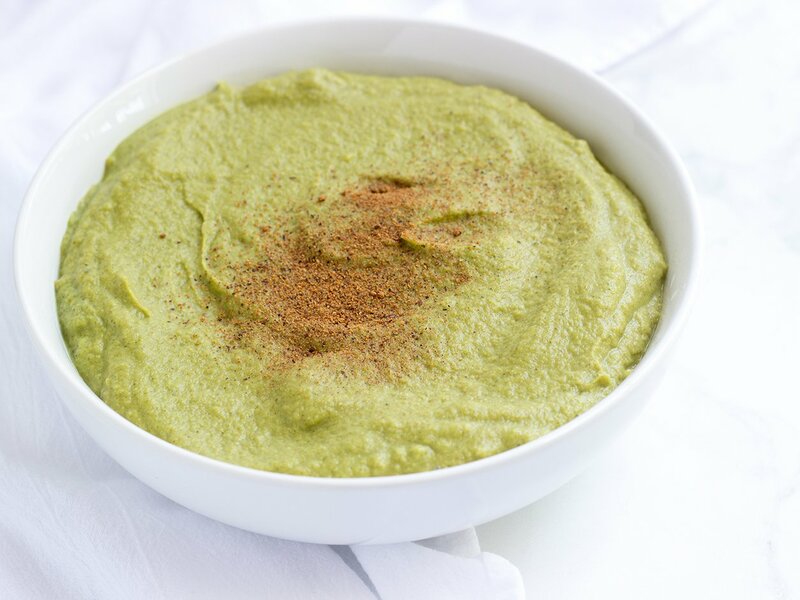 Made for a super fast side dish!! It was a hit with everyone.